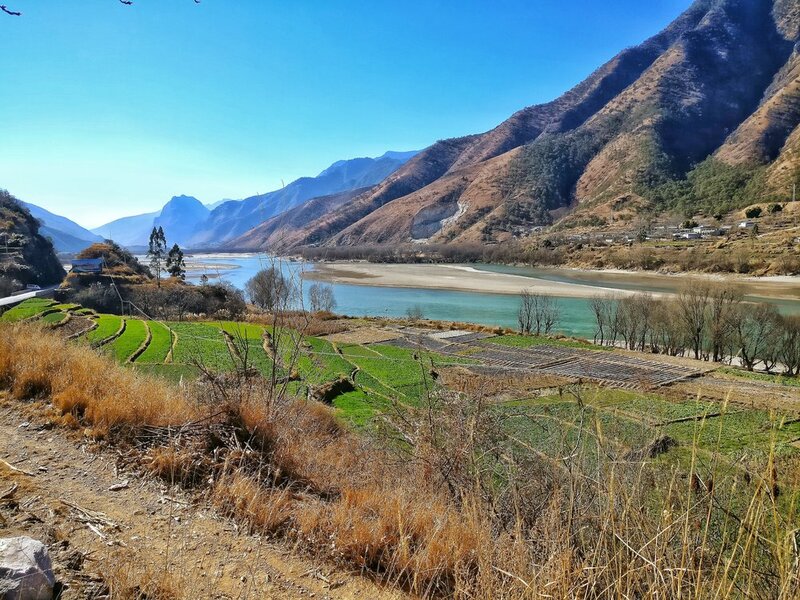 The Great Bend of the Yangtze at Shigu : This is the famous Great Bend of the Yangtze at Shigu. At first appearance its just a River bend but if you know enough then you would be awed in the fact how this place has shaped human history. 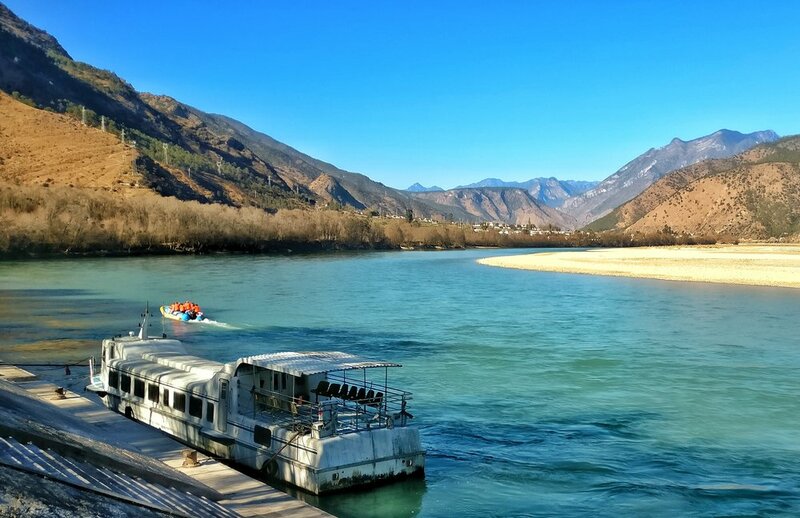 The beautiful Jinsha or the Upper Yangtze just after it takes that famous first bend and turns 180 degrees and starts flowing North. Of all the Great Rivers rising in the Himalayas and Trans Himalayas, besides the one we are familiar with ie the Indus, the Ganga and the Brahmaputra, the others like the Salween, the Irrawady, the Mekong and the Yangtze all meet the Oceans to the South of the Himalayas. All except one. The mighty Yangtze. It's at this point precisely that the Yangtze decides to do a u turn and go North. All the other parallel Rivers in this area, the Salween, the Irrawady and the Mekong go South. Due to some geological phenomenon connected with the tectonic events which took place when the Indian plate collided with the Eurasian plate and this was the meeting point. 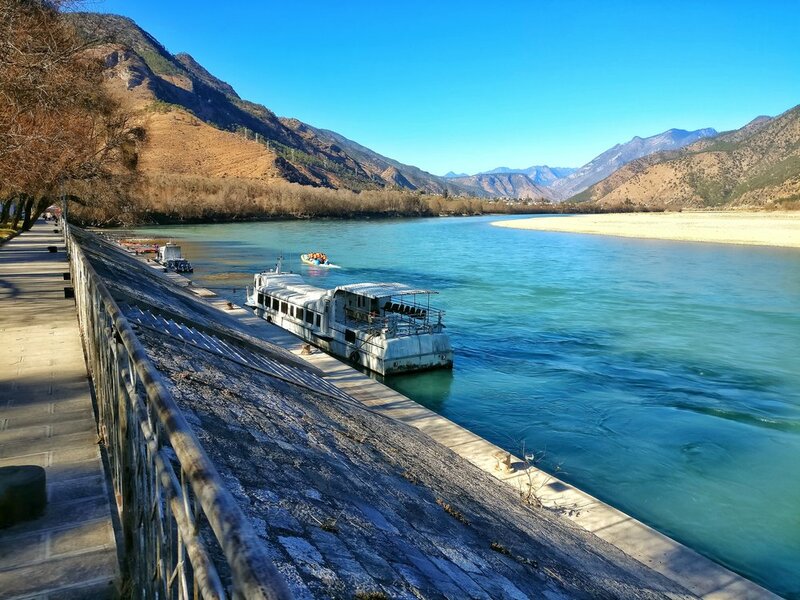 Of all the great rivers rising in the Great Himalaya system the Yangtze is the only one which meets the Ocean to the North of the Himalaya. "A thousand miles of tumbling water heading for Vietnam and the Gulf of Tonkin is, within a few hundred yards, spun round to the north and, though it twists and turns and tries to find its way south again, it is now effectively a Chinese river, heading east to create the enormous bowl of fertility and prosperity that is the heart and soul of the Middle Kingdom". The Yangtze Rive Basin is home to 500 million people or a third of the the population of China. Both historically and today, it is responsible for much of the wildlife, culture and economic wellbeing of China. To stand at the first bend is quite a mind numbing affair if you understand how this simple turn of a river has effected the historyof Humankind. The Himalaya effects human history in more ways than we can ever comprehend.